You will be joining a rich history of amateur boxing Boxing which is taught at three different age groups, beginning with non-contact fitness training for the ‘Juniors’. This leads up to ABA supervised training bouts with full headgear for the ‘Seniors’. Each age group has structured classes led by qualified coaches, and the emphasis is placed equally on developing discipline and technique as well as stamina. Each year the club takes part in around twenty-five competitions against other clubs, and occasionally versus the services. The club’s biggest showcase match of the year is held at a prestigious venue in central London as part of the​ annual fundraising dinner. There are also occasionally exchange visits with similar clubs in the USA, Sweden, France, as well other countries. "When I was sixteen, I wasn’t doing much with my life, I used to hang around outside the club most evenings causing mischief. One evening Steve came out and told me I didn’t have any ‘bottle’. The night I decided to go in the gym and prove him wrong. It was one of the best things I ever did. I loved the atmosphere of the gym and the boxing gave me focus and direction for my life and really helped to straighten me out. Steve Hiser has had a massive impact on my life." Former Fisher boy and current Head Coach, Steve Hiser BEM, joined the staff team in 1973 and is regarded as the most respected and best boxing coach for miles. During his tenure, the Club has gone from one success to the next with Steve having coached a number of national champions, England internationals and world champions. Amazingly, Steve was a former club member, he joined in 1957 and immediately took up boxing. 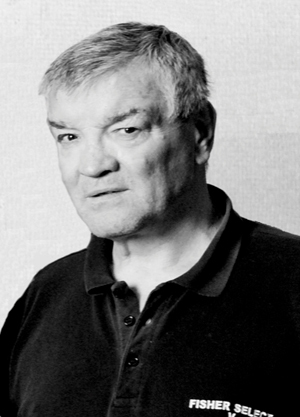 He went on to become a professional boxer before joining the coaching team in 1973. "I boxed for England and fought for two ABA titles under Steve (Hiser). He is a tremendous man…"
Steve Hiser understands that the young boxers need to take the work ethic, respect for others and the discipline of the gym and use it to be successful in life. He will give equal time and respect to a raw novice “straight of the street” as to a national champion. Steve Hiser has recently been awarded a British Empire Medal (BEM) for his dedication to the sport. The home of two former world title contenders Timmy Driscoll and Mickey Cantwell and three world boxing champions Sid Smith, Terry Downes and Lloyd Honeyghan – are all amongst the club’s past members. Former Fisher boy Lloyd Honeyghan was born in Kensington, Jamaica on 22nd April 1960 and moved to England as a child with his family settling in Bermondsey. Lloyd took up boxing and by the age of 12, was a fairly good amateur with the Fisher Club, winning a few National schoolboy titles along the way however in 1980, the club helped him to turn pro..
Lloyd went on to become the British, European and Commonwealth Champion before taking his first World Welterweight Title in 1986. The Fisher Amateur Boxing Club Fundraising Dinner in 2010, was dedicated to celebrating Lloyd’s 50th Birthday. Undisputed middleweight of the world Terry Downes perfected his art as a former Fisher Boy before turning pro and winning the world title in 1961. Downes is now arguably Britain’s oldest world champion. It is just over 50 years since he won the undisputed middleweight title at Wembley from Paul Pender, one of his trilogy of fights with the late Boston fireman, becoming the first Briton to hold that title since Randolph Turpin. He also fought, and beat Turpin’s legendary foe, Sugar Ray Robinson. "I didn’t beat Sugar Ray. I beat his ghost". The Fisher Amateur Boxing Club Fundraising Dinner in 2012 was dedicated to honouring Terry Downes. Ted Cheeseman, 2011 National Junior Champion (class 4, 54kg). Ted has been featured in a video “I Will Be Next” which features ten young SportsAid athletes who aspire to be our Olympic and Paralympic champions of the future. It was premiered at SportsAid’s SportsBall on 21 November 2012. Cheeseman went on to represent England and win the GB Junior Championships in July 2011. 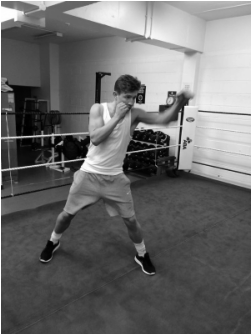 To contact Fisher Amateur Boxing Club, call our main landline 0207 939 7400, and select option 2. *Please Note: The Fisher A.B.C landline is only operational on weekdays between 4 and 8pm.